Food is very important part of our life, that’s why Food Processing has become a rewarding career option. Food processing is the branch of Food Science, where a set of techniques and methods are used to change the raw ingredients into prepared food. It is a procedure in which food is prepared for consumption purposes by humans and animals. Food processing is a broad term, in itself, which includes processing, preservation, manufacturing, packaging, and canning of various food items. In India, Food Processing industry is gaining momentum as the consumer food industry. The modern food processing techniques have prompted the feasibility of the development of the present day stores. In the late nineteenth and twentieth centuries, the Modern food processing technology was developed in a large part to serve military needs. If you are interested to do a certificate course, then you have passed your 10th examination. The candidate has to pass 10+2 examination with Physics, Chemistry, Mathematics (PCM) or Physics, Chemistry, Biology (Medical Stream) subjects for admission in Bachelor courses. You can also take admission through JEE Main 2019 and JEE Advanced 2019. Those Candidates opting for M.Sc & M.Tech, they have to qualify their Bachelor’s degree in Science. For M.Tech Course, you can appear for the GATE 2019. Some private universities conduct its own entrance exam for admission in food processing course. There are ample job opportunities for fresher and experienced professionals in the food processing industry. In India, Food processing is still in its blossoming stage that promises a plethora of employment options. It is an attractive and lucrative industry which ensures that experts from various areas find fruitful jobs for themselves. Before opting a career in food processing Industry, you have to analyze your strength, weakness, opportunities, and threat. It is necessary to judge you that you are prepared to work in this challenging sector or not. In Food Processing Industry, there is an extensive range of job opportunities for a varied range of professionals: managers, food technologists, and engineering graduates. You can be employed in Food processing companies, food research laboratories, Hospitals, Catering establishments, Retailers, Food Wholesalers, and Restaurants. Various jobs can be explored in the area of food processing such as milk products, grains, fruits and vegetables, fisheries, confectionery, beverages, packaged/convenience foods, plantation products and health foods and supplements. The food processing Industry also recruits professional in the different sector of the food industry such as analytical chemists, research scientists, biochemists, engineers (mechanical, electrical, agricultural, chemical, civil, and industrial), home economists and managers and accountants. Your salary will be depended on your educational qualification, work experience, skills & contribution in the Food processing industry. As a fresher, you can earn a salary between Rs. 2.5 Lac to Rs. 3 Lacs per annum. Those candidates have an experience in this field, they get the salary around Rs. 4 Lac to Rs. 5.5 Lacs per year. 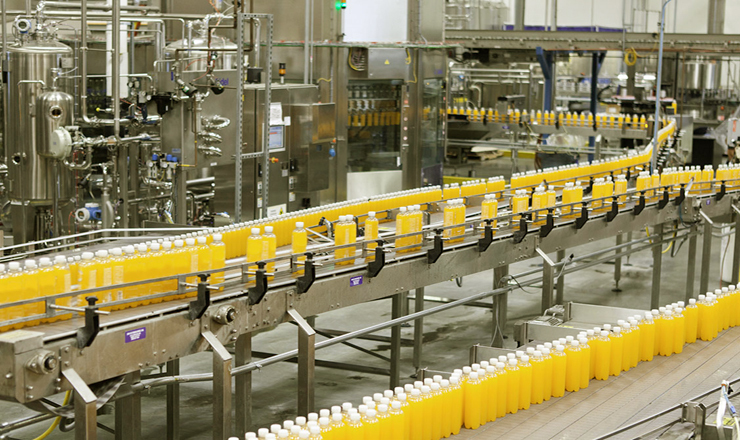 For more information about Career In Food Processing, you can ask here. My son is right now in 12th commerce,if he wants to persue his future in frozen foods is it possible for him to get admission. As we have our own ice-cream parlour .pls. kindly guide me. I recently completed 12 th and I got chance in ECC college allahabad in B. Voc(FP) any scope in that field plz tell me!! I only wanted a placement in good industry!! Any suggestions here!! What is the career opportunities for the students doing B.Voc. in food processing and preservation from colleges like Dayal Bagh Educational Institute Agra? I had completed my 12th recently and I got admission in osmania university in food processing technology. Can I have better future with this course? i have just completed my B.SC in zoology in Goa. i wanted to do my PG in food technology. is there any scope for food technology in Goa. Right now I’m studying in 12 so how much percentage should I score so that I can get admission in best college of food technology? I am interested in art ,crafts n other imaginative works. is there any placement with good packages in chocolate industry after graduation . Which courses can I relate to . What is the scope of doing the nutrition & food science course??? you could be a part of food chains, packed food companies, you can also be a consultant in these firms. i am completed 12th class by bseb . I want to admission in food processing . I have no more information about it . Please help me. pls try mnc group and complete our education during job …. Howz d placement of BHU.. I don’t have knowledge abt what I do firstly..? where I got training in this sector in India only. now i am working food MNC company from 3 years but i haven’t food diploma course. so i need your help i want join food diploma course but only part time because i don’t want leave my job. i need your help urgent basis. Brother, i hv completed 2 year diploma in food processing and canning with 6 month factory tranning, can i hv sm job opportunity like you? U hv any vacancy for this job. i have complit food tech .have any vacenacy for thise job. I hv completed m.sc food nutrition..u have any vacency for this job.